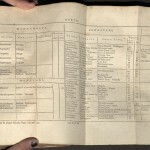 This almanac presents the expected charts and tables, including lists of eclipses, high tides, population statistics of the United States, and postage rates. 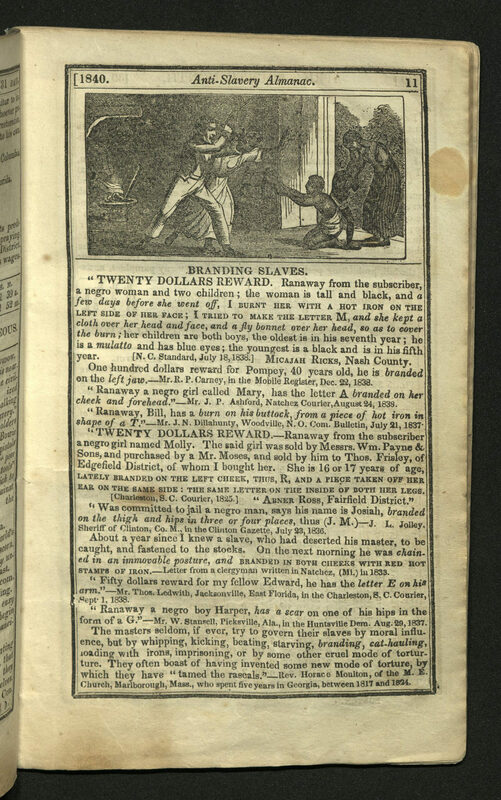 This practical matter is interspersed with texts detailing accounts of branding, hunting escaped slaves with dogs and and guns, selling a mother from her child, women being whipped in fields, lynching, burning alive and other atrocities perpetuated against the enslaved. The stories are illustrated with strikingly graphic images, one for each month plus one for the cover. 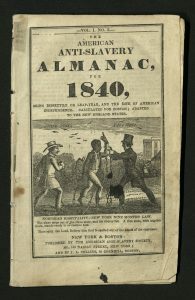 Almanacs were read and used by a majority of literate American adults. 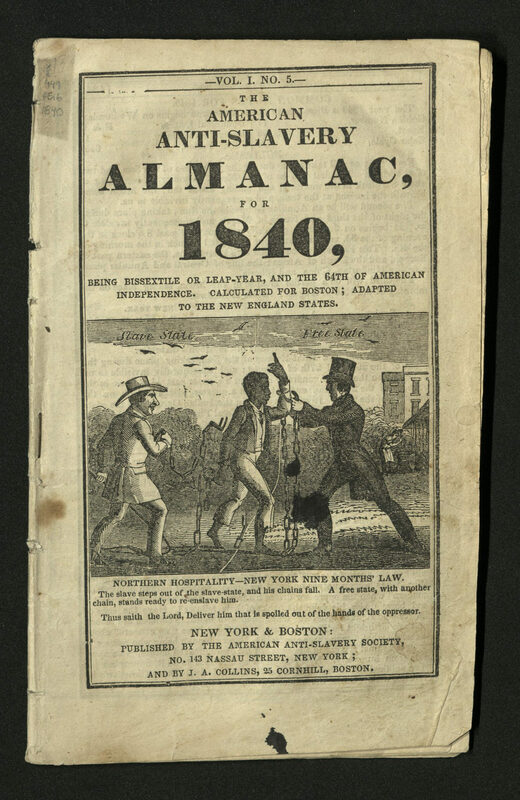 The American Anti-Slavery Society began publishing these almanacs, in 1835, as a way of publicizing the horrors of slavery. Rare Books Goes to Warsaw! ≈ Comments Off on Rare Books Goes to Warsaw! 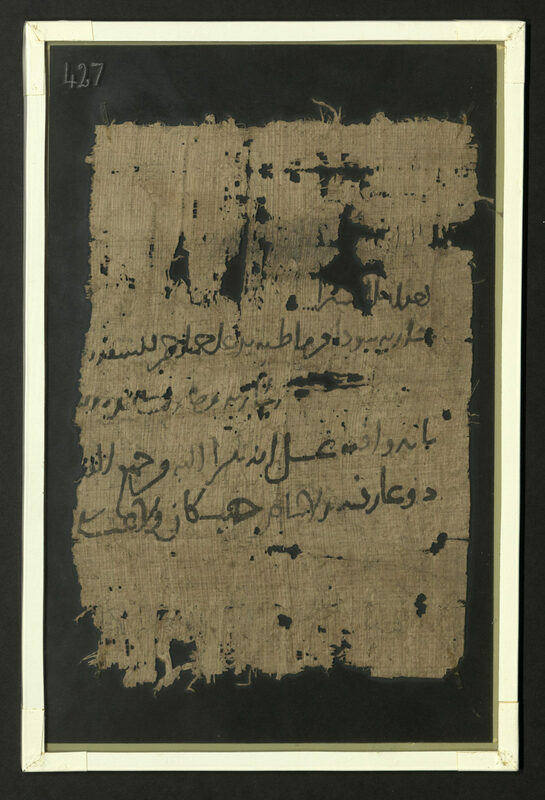 Five pieces from the Arabic Papyrus, Parchment, and Paper Collection were published by Naïm Vanthieghem in The Journal of Juristic Papyrology, vol. XLIV (2014), pp. 163-187 (Warsaw). 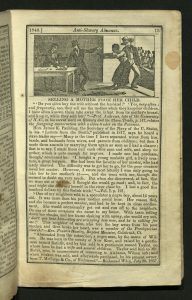 The article is titled “Quelques Contrats de vente d’Esclaves.” Unfortunately, the J. Willard Marriott Library does not hold this journal. Mr. Vanthieghem graciously sent us a pdf of his article, which we have had cataloged. 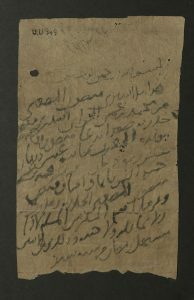 It may be found under the call number HT1317 V36 2014 when requested at the Special Collections Reference Desk, Level 4. The papyrus and paper are also available for review. Naïm Vanthieghem obtained his MA in Classical Studies (2009) and in Modern Languages and Literatures – Arabic Language and Literature (2010) at the Free University of Brussels (ULB). 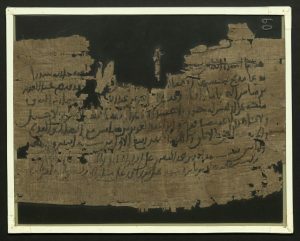 He then specialised in the field of Arabic papyrology at the University of Zurich (2010–11) and at the Johannes Gutenberg University in Mainz (2011–12). 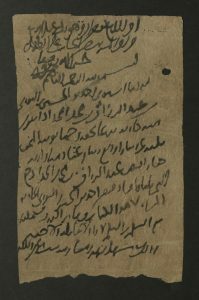 He received his PhD at the Free University of Brussels with a dissertation devoted to the archive of an estate manager called Heroninus, who was in charge of a large estate in mid-third-century Egypt (2015). 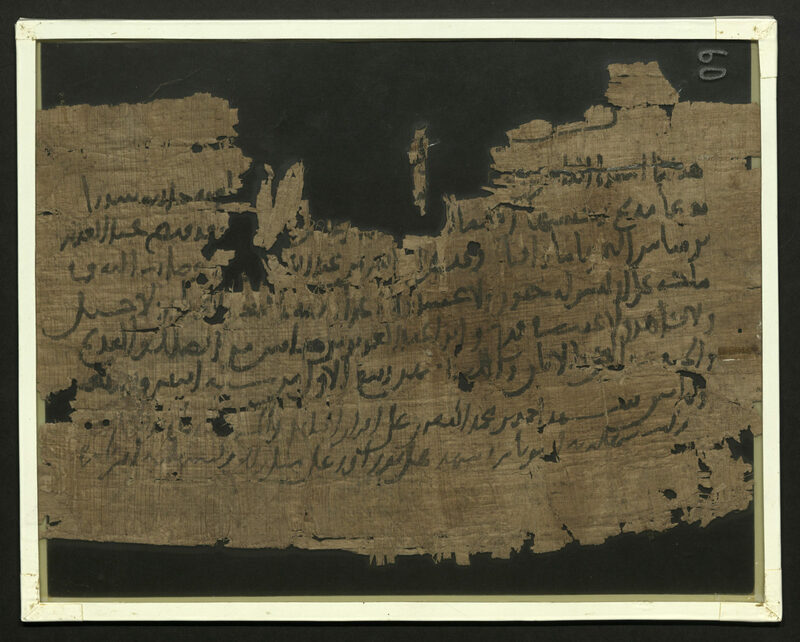 Naïm Vanthieghem has written several articles and reviews in the fields of Greek, Coptic and Arabic papyrology. 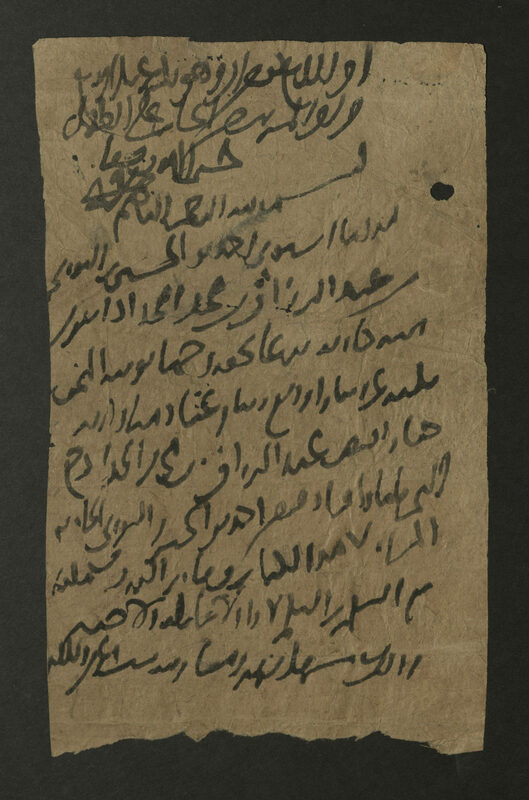 He has a special interest in the study of multilingualism in medieval Egypt, and in several contributions he highlighted the existence of an Arabic-Coptic bilingualism that emerged in Egypt in the ninth century and disappeared in the late Fatimid period (twelfth century). 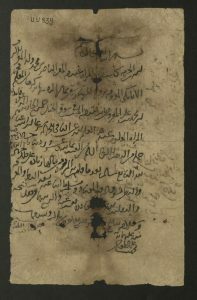 He has also worked for several years on Arabic legal documents, for the project “Islamic Law Materialized” funded by the European Research Council. 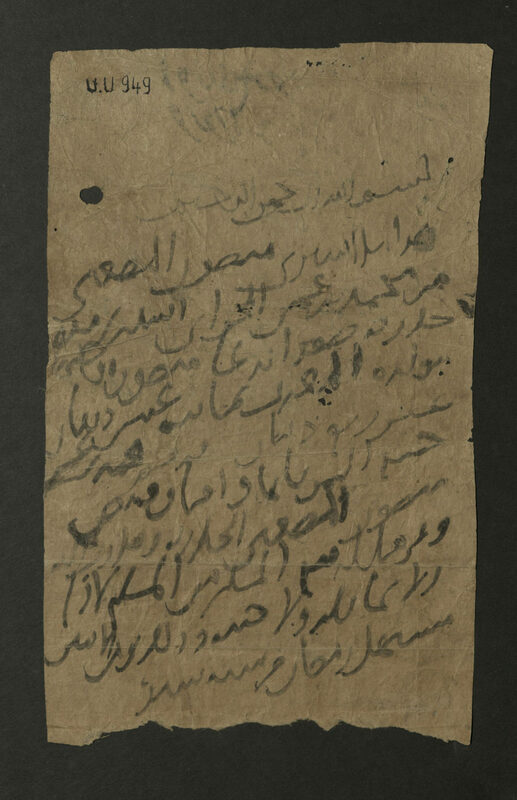 In the framework of the project “The Cairo Geniza as a Source for the History of Institutions and Documentary Practices in the Medieval Middle East” led by Prof. Marina Rustow, he is studying Fatimid Arabic documents of the Cairo Geniza. 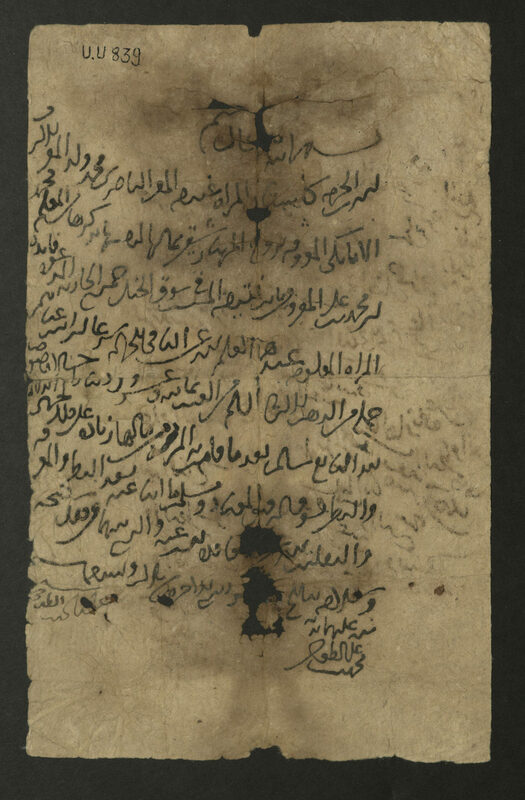 He is currently a post-doctoral research associate with the department of Near Eastern Studies, Princeton University. 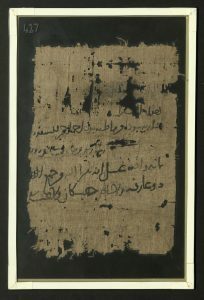 Among his publications is “Les archives d’un maquignon d’Égypte médiévale ?” Analecta papyrologica 26 (2014), for which he also used pieces from the Rare Books Department Arabic Papyrus, Parchment and Paper collection. 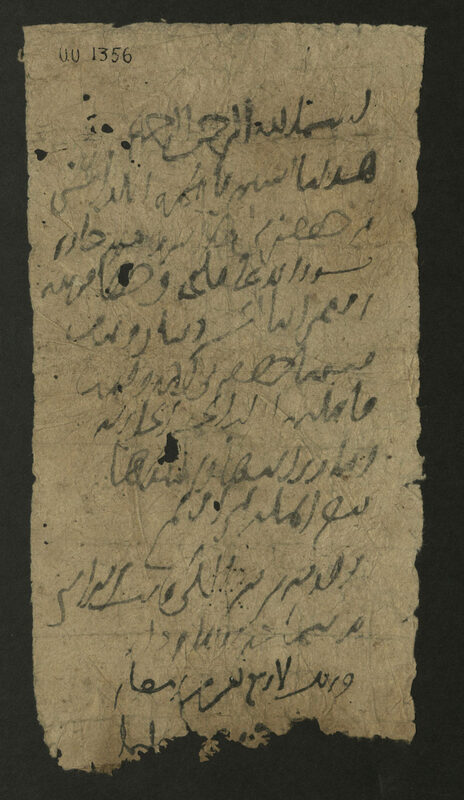 Below are the papyrus and paper fragments of legal contracts for the sale of slaves in Egypt dating from end of the third century to the 16th century, as identified by Mr. Vanthieghem. William Wilberforce and Thomas Clarkson (1760-1846) began their mutual battle against the British Parliament toward the abolition of slavery in 1787. 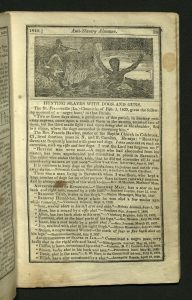 In 1791, they were defeated by the interests of West Indian planters. In 1806, Wilberforce and Clarkson began the fight again. 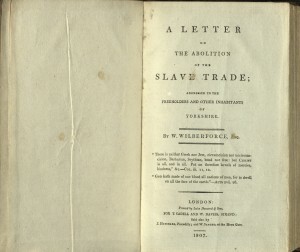 In A Letter, Wilberforce described the evidence and arguments against the slave trade that he had accumulated over the course of two decades. 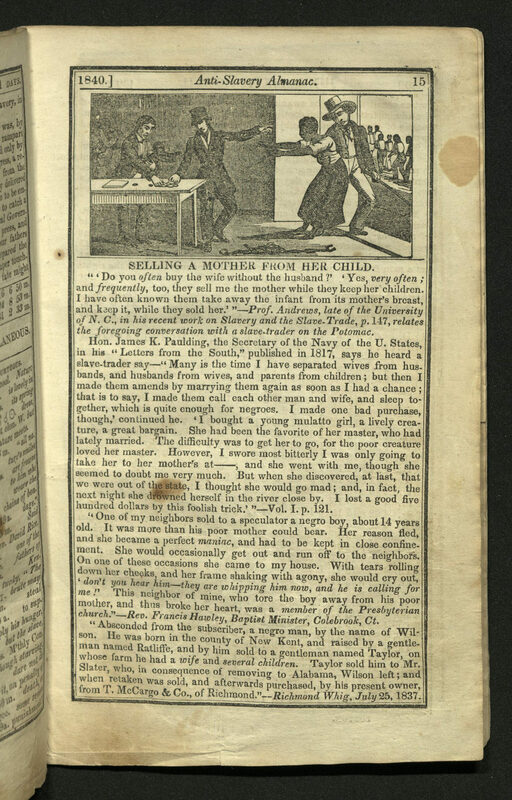 It was published on January 31, 1807. On 25 March 1807 royal assent was given to a bill abolishing slave trade with the introduction of the Abolition Bill in the House of Lords. It was the first major victory for the abolition movement. The bill was carried by 267 votes. According to an account by Clarkson, the house rose to its feet and cheered. The victory represented a battle carried on through word of mouth and the printing press. But the war to abolish slavery was far from over. 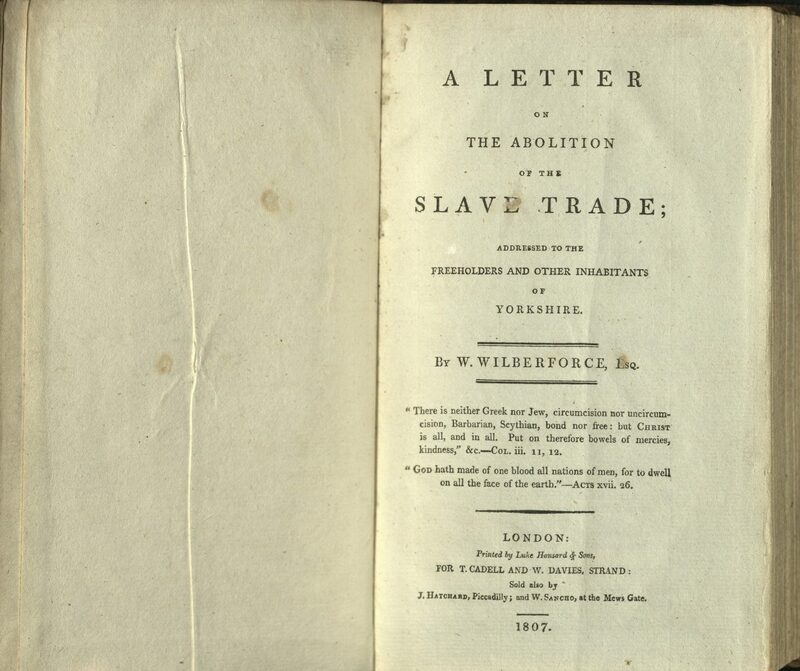 Wilberforce continued to work to abolish slavery throughout the British Empire. 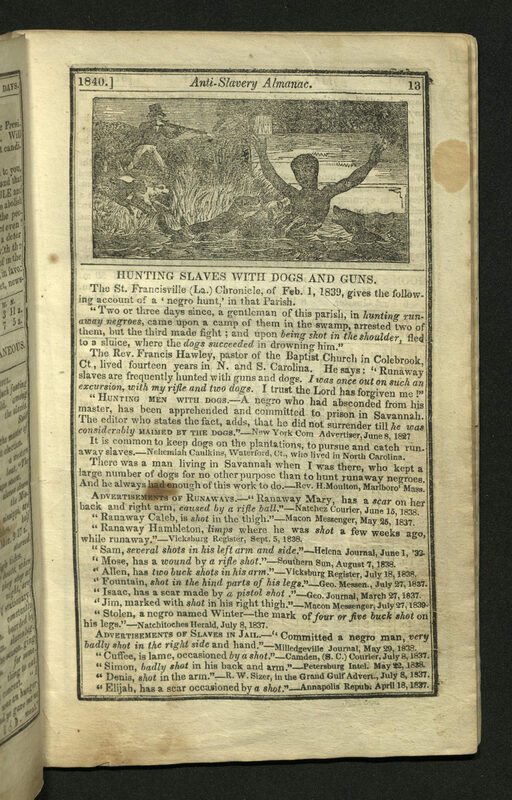 The fight did not conclude until July 26, 1833, when Parliament voted to abolish slavery. Wilberforce died three days later. University of Utah copy has armorial bookplate of “Sam. De La Cherois Crommelin” and family signature on endpaper. Bound in contemporary tree calf, gilt flat spine with black morocco label. 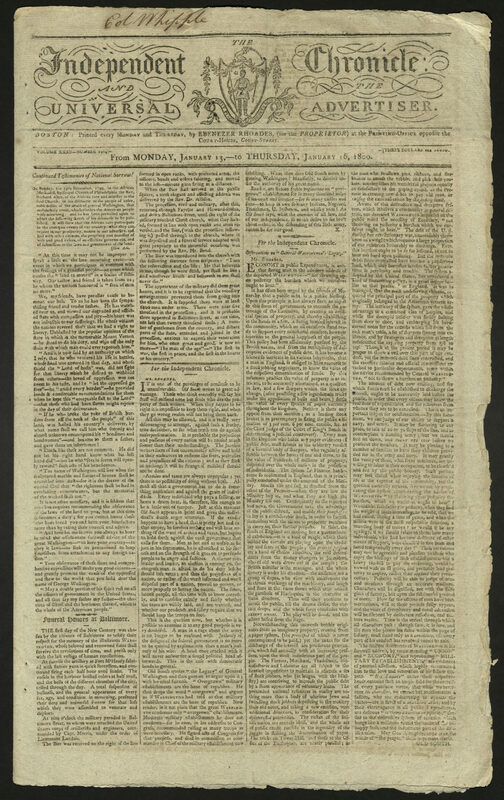 The front page of this issue begins with a eulogy for George Washington by the Rev. Richard Allen, pastor of the Bethel (Pennsylvania) African Methodist Episcopal Church. This church, founded by Allen and others in 1797, was the first Methodist church in the United States opened specifically for African Americans. 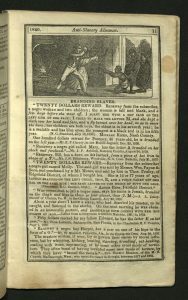 Richard Allen was born into slavery in 1760. Benjamin Chew, a Quaker attorney, owned the Allen family, then sold the family to Stokeley Sturgis, a planter in Delaware. Allen was converted to Methodism by an itinerant preacher. Sturgis, apparently influenced by Allen, also became a Methodist. After his conversion, Sturgis offered to let his slaves buy their freedom. After working odd jobs for five years, in 1783, Allen purchased his own freedom for $2000. Through Methodist connections, he was invited to Philadelphia in 1786, where he joined a church and became active in teaching and preaching. A growing congregation of African Americans caused the white congregation so much discomfort that they began segregating seating and services. Allen and several others formed their own church in 1787. Allen opened a day school for African Americans and worked actively for abolition of slavery. His home was a stop in the Underground Railroad. Allen died in 1831. In his eulogy for George Washington, believed to be the first by a black minister for an American president, Allen wrote, “We, my friends, have a peculiar case to bemoan our loss. To us he has been the sympathizing friend and tender father. He has watched over us, and viewed our degraded and afflicted state with compassion and pity – his heart was not insensible to our sufferings.” This was part of a sermon he delivered on Sunday, December 29, 1799. 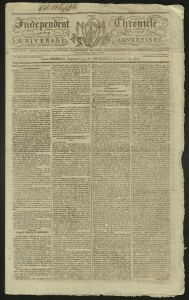 Allen referred to the fact that Washington freed his slaves and asked that his congregation adhere to the “laws of the land” as Washington asked of United States citizens in his Farewell Address, “Your observance…will…greatly promote the cause of the oppressed…” Our copy inscribed by “Col. Whipple.” University of Utah copy gift of Dr. Ronald Rubin. 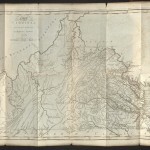 The second American edition of Notes included a large folding map of Virginia made by Samuel Lewis not in the first edition and a folding chart listing Indian tribes. 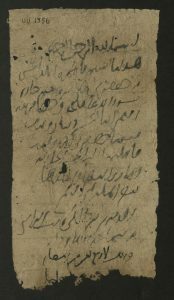 Written in the form of answers to questions about Virginia, Notes contains information about the geography and social and political life of Virginia. Jefferson also used it as a forum for patriotism, expressing great optimism in regard to the future of the fledgling United States of America. He supported this argument with a dissertation about the nature of the good society as reflected in his home state of Virginia. He discussed constitutional principles such as the separation of church and state, the importance of the system of checks and balances in a constitutional government and the need and right for individual liberty. 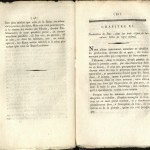 Jefferson passionately refuted a theory posited by the contemporary French naturalist Georges-Louis Leclerc, Comte de Buffon (1707-1788), who stated that nature – plant life, animal life and human life – degenerated in the New World. 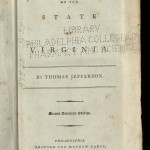 In two different chapters, Jefferson discussed slavery, with tortuous attempts to explain and justify American slavery. Jefferson, in fact, held sway with contemporary Enlightenment belief that blacks were inferior to whites (whites were more beautiful and more intelligent). He argued for the mass deportation of slaves toward the common good of whites and blacks, slavery being demoralizing to both races. He suggested education and emancipation for slaves, and then colonization of emancipated slave children outside of the United States. Very outside, in fact. He did not suggest that they colonize any part of the North American continent. 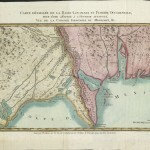 This work on Louisiana and the western part of Florida gives a general survey of the area, with special attention paid to the Mississippi River and New Orleans. 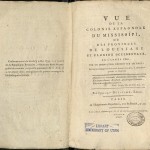 The author writes of the climate; soil; flora and fauna; production of sugar, cotton, indigo, tobacco, rice and wood ; as well as trade, commerce, law and government. Berquin-Duvallon was a planter who lived in Louisiana from 1799 until 1802. A French colonist, he fled San Domingo in 1803, after slaves successfully revolted. The Haitian Revolution resulted in the abolition of slavery on Haiti.